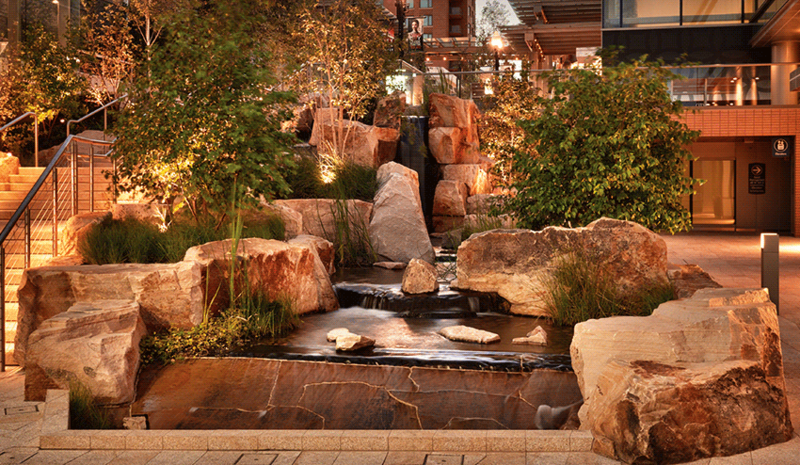 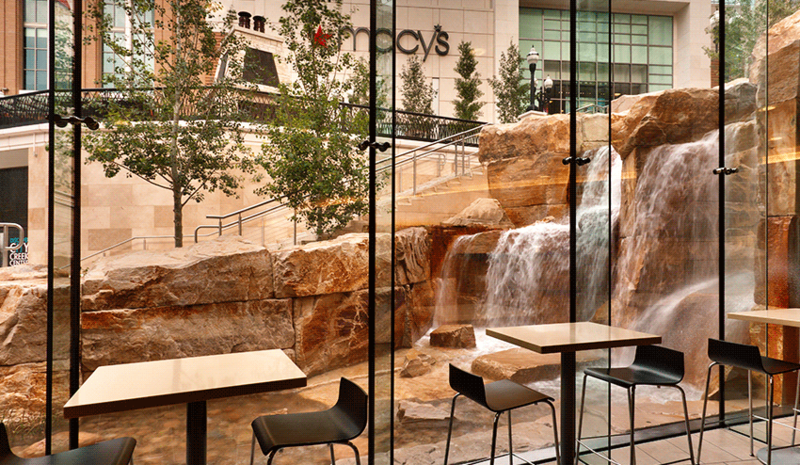 Salt Lake City’s 23-acre City Creek Center is the perfect balance of modern innovation and natural beauty. 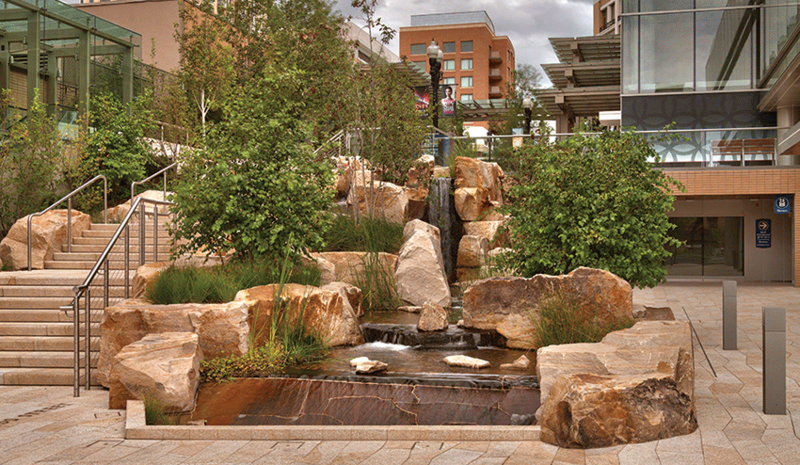 The center’s realistic replica of City Creek stretches for 12,000 feet, meandering through two city blocks. 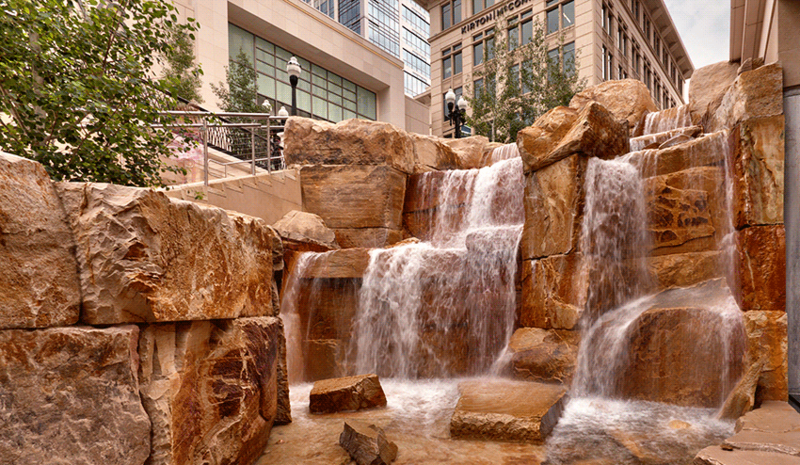 The creek drops almost 40’ in elevation from beginning to end, with water crashing over three waterfalls created from approximately 275 boulders. 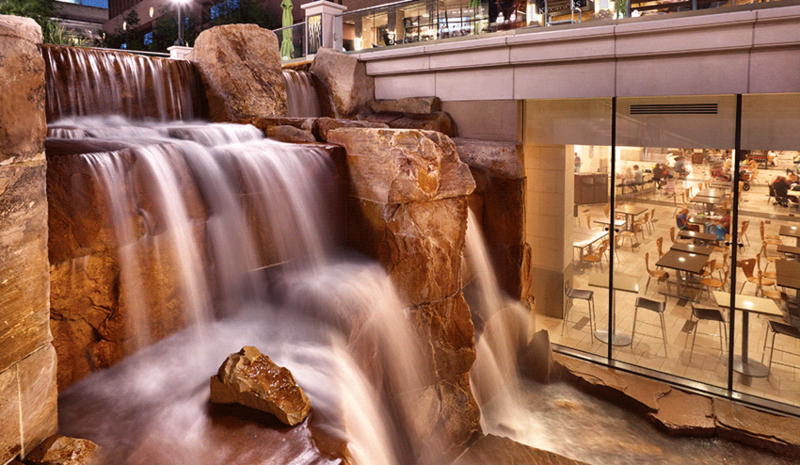 Construction of the cascades took over three years from drawing to completion, with over 15,000 production man hours logged. 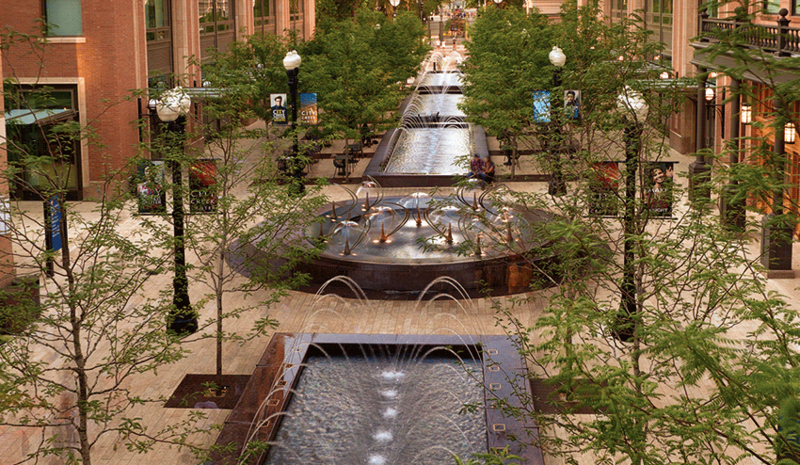 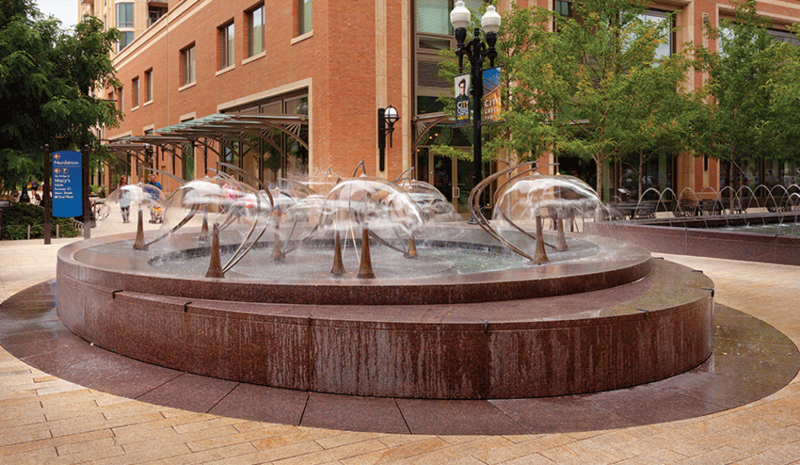 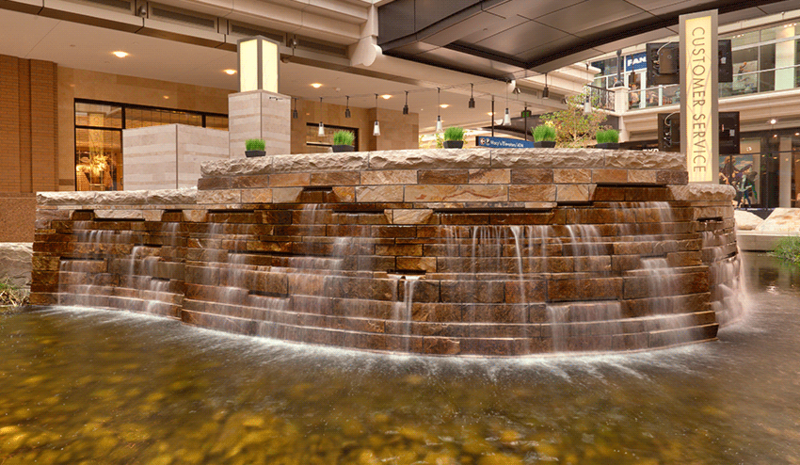 In addition to the intricate creek re-creation, the City Creek Center also features seven unique, solid stone fountains. 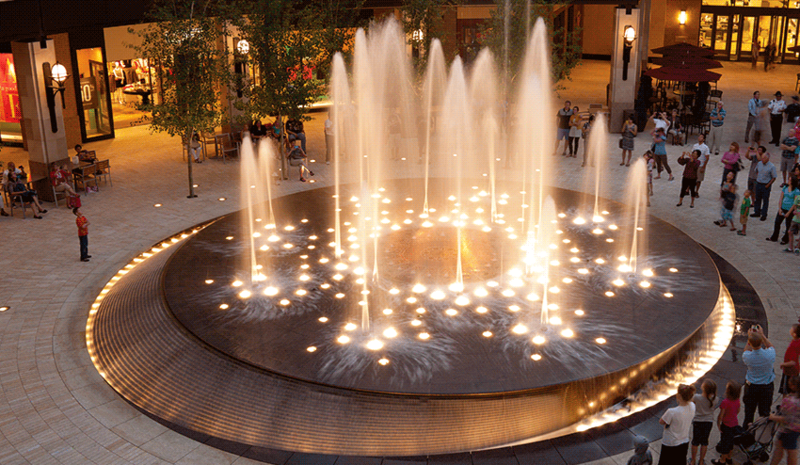 A total of 15,400 CF of stone, weighing 1,270 tons was used to create the center’s distinctive water features.